Before the days of supersized Powerball jackpots, many people put their hopes and dreams into winning a Bingo jackpot. 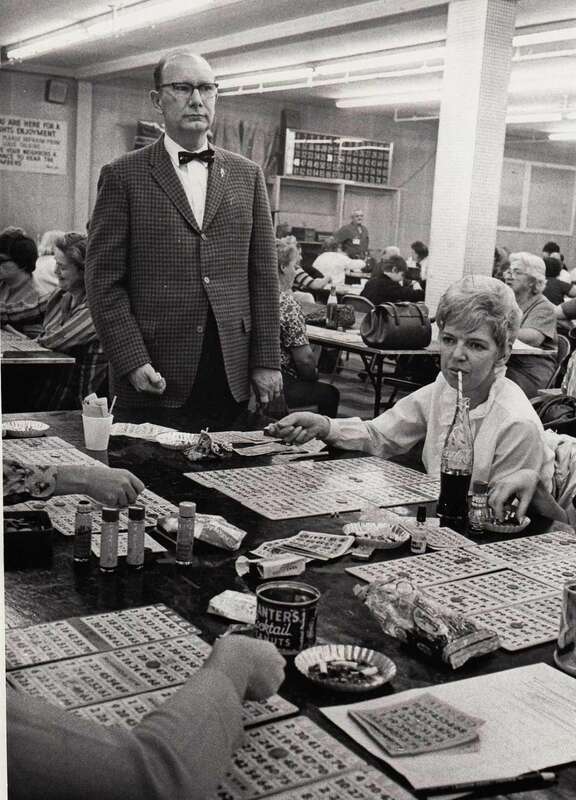 Bingo has been a popular game of chance in the United since the mid-1800s, when a toy salesman named Edmund Lowe noticed people playing a game called “Beano’” at a country fair in Georgia. “Beano” morphed into “Bingo” and the rest is history. 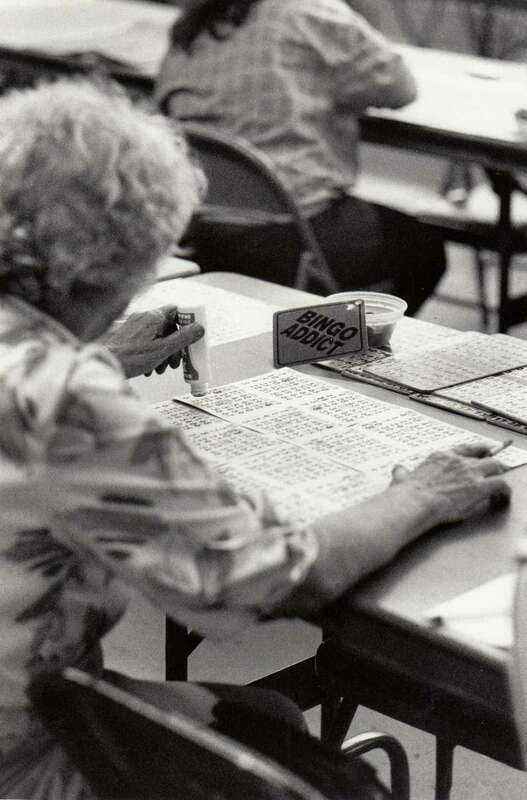 Although Bingo had been played on Long Island for years, the game was technically illegal here until 1958. 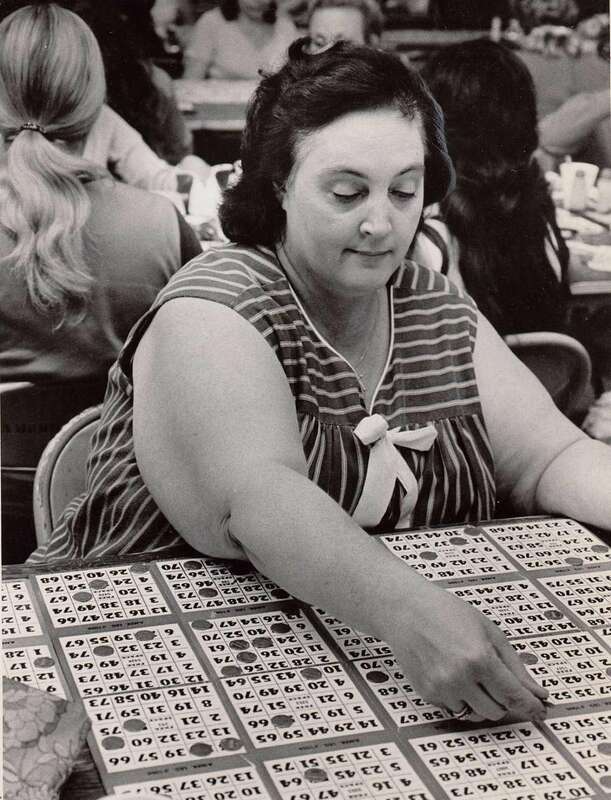 By 1962, in a six-month period, official records showed that over 632,000 bingo cards had been played, sponsored by over 130 organizations in Nassau and Suffolk. While the heyday of bingo halls here may have passed, Long Island Bingo Magazine currently lists 52 ongoing weekly games across the Island, and still others have taken to playing the game online. 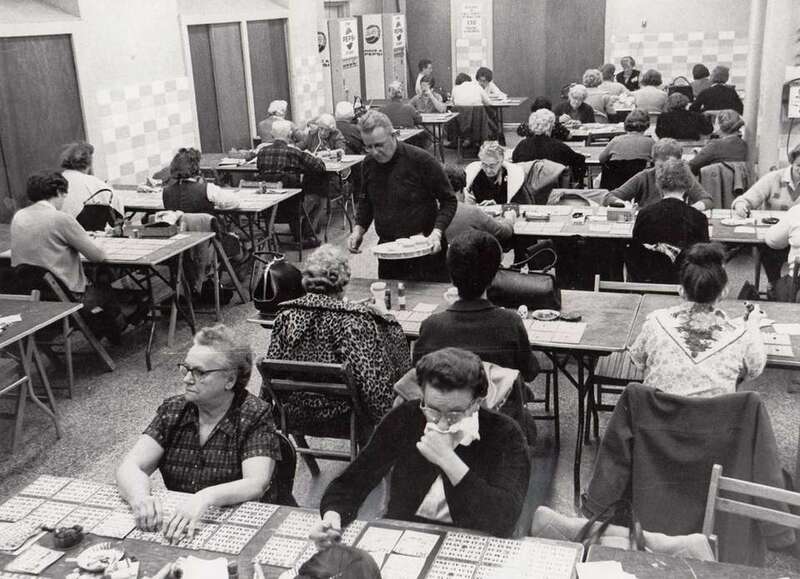 Here’s a look back at the bingo halls of the '60s, '70s and '80s on Long Island. 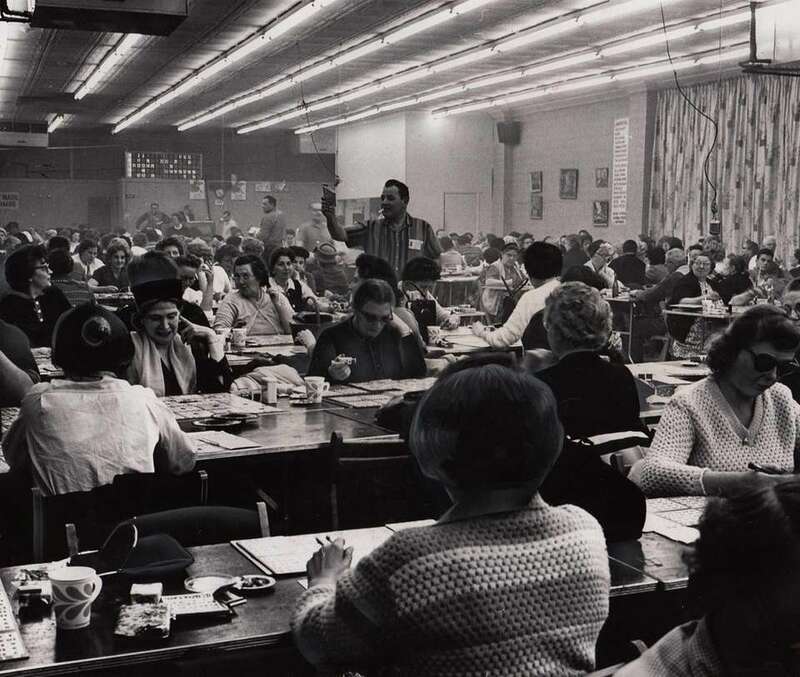 Usher Sol Levandov stands at the ready with extra bingo cards for the 270 people playing the game at the Hicksville Bingo Hall on Jan. 2, 1962. Sol Levandov of Hicksville passed out bingo cards to some of the 270 or so people gathered to play on Jan. 2,1962, at the Hicksville Bingo Hall on Broadway in Hicksville. 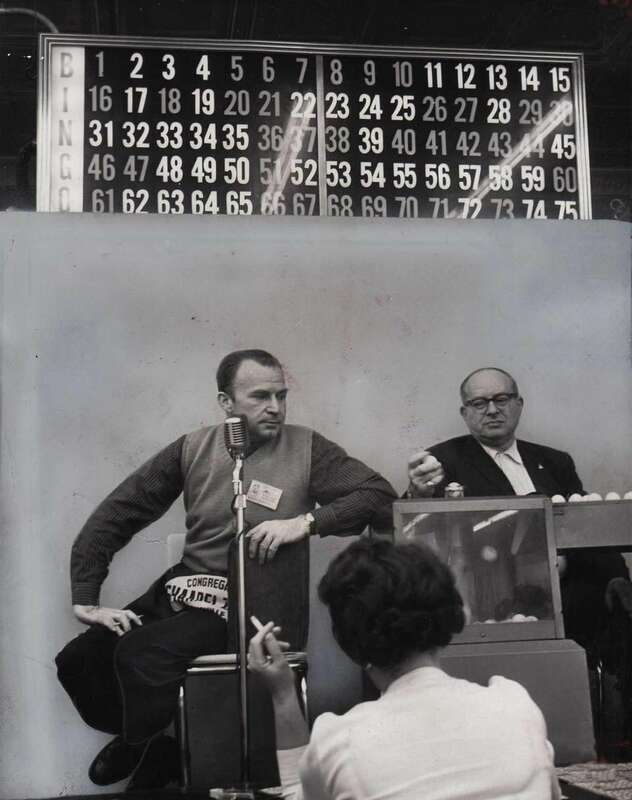 Morris Luckerman and Irving Barshai of Hicksville call the numbers at the Hicksville Bingo Hall on Jan. 2,1962. 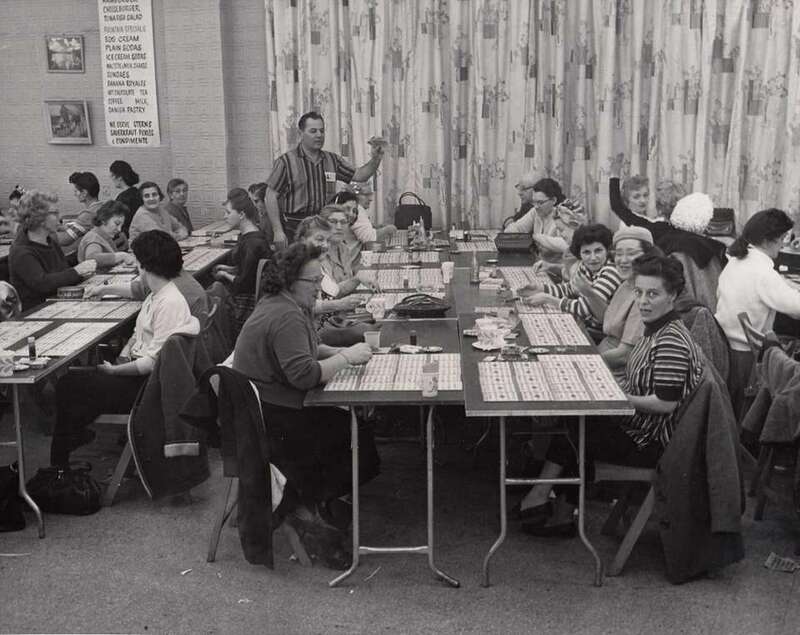 A bingo game in progress at the Empire Hose Company Fire Hall in Merrick on Dec. 14, 1964. A woman puts a chip on I-23 at the Empire Hose Company Fire Hall in Merrick on Dec. 14,1964. 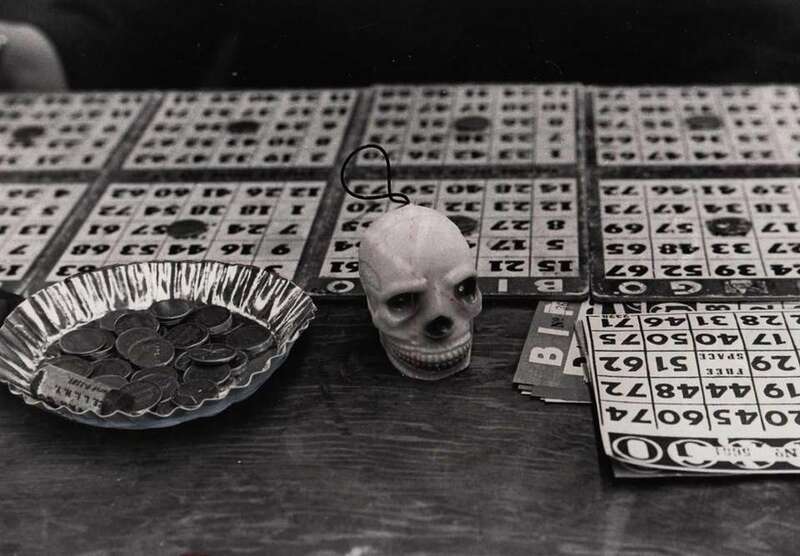 Good luck charms include a skull and lucky pennies at the Empire Hose Company Fire Hall in Merrick on Dec. 14, 1964. 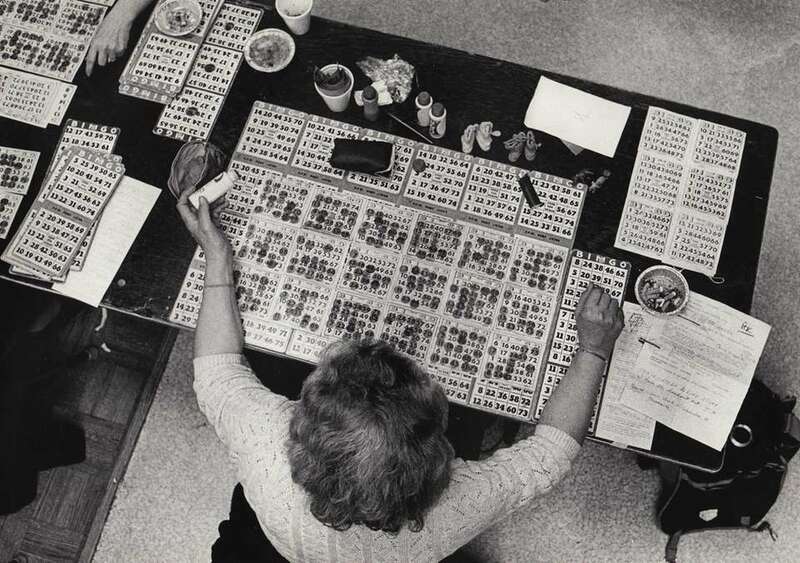 Alfred Schupp, a Bingo inspector for the Town of Oyster Bay, checks that everything is on the up and up at the Massapequa Hall on Brooklyn Avenue on Feb. 20, 1969. 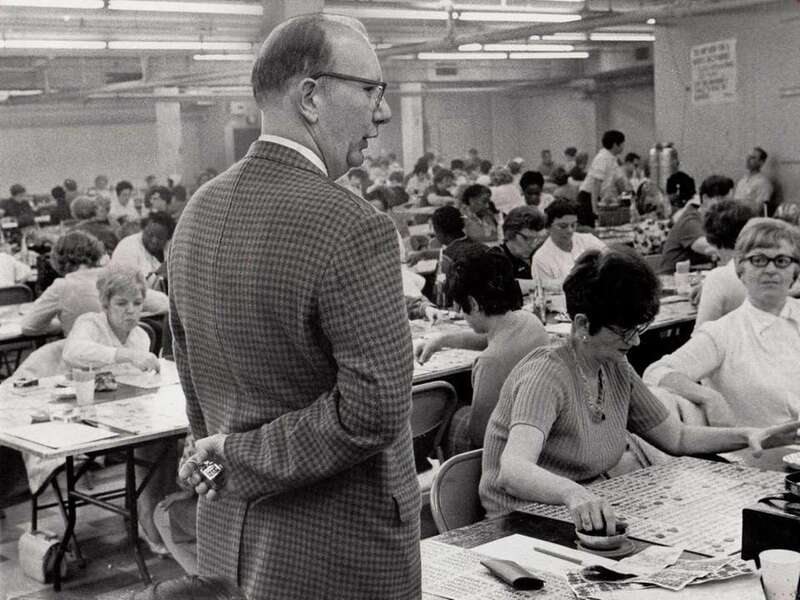 Town of Oyster Bay Bingo inspector Alfred Schupp counts the bingo cards at the Massapequa Hall on Brooklyn Avenue on Feb. 20, 1969. 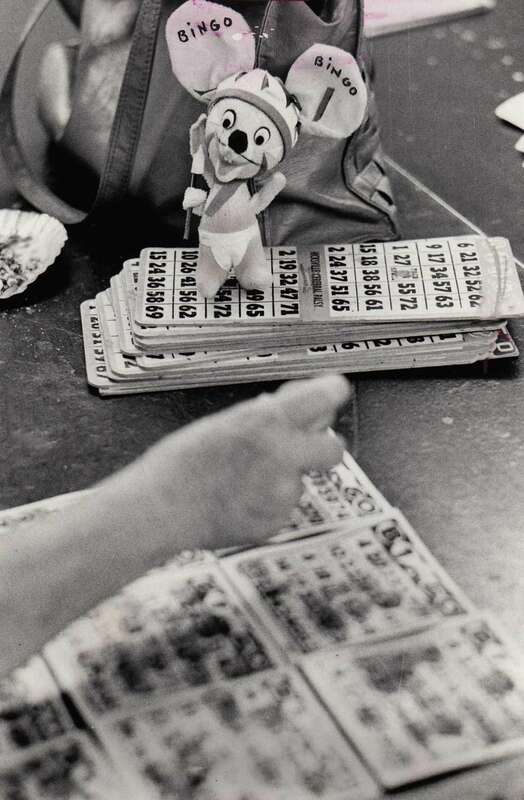 Rita Duarte of Massapequa plays her bingo card on Aug. 23, 1972. Bingo callers Marge Scott of Jericho and Agnes Antone of Hicksville run the game at the Lion's Den Bingo Hall in Hicksville on May 26,1976. A sample of the good luck charms that many Bingo players use during the game. This photo was taken at the Lion's Den Bingo Hall in Hicksville on May 26, 1976. 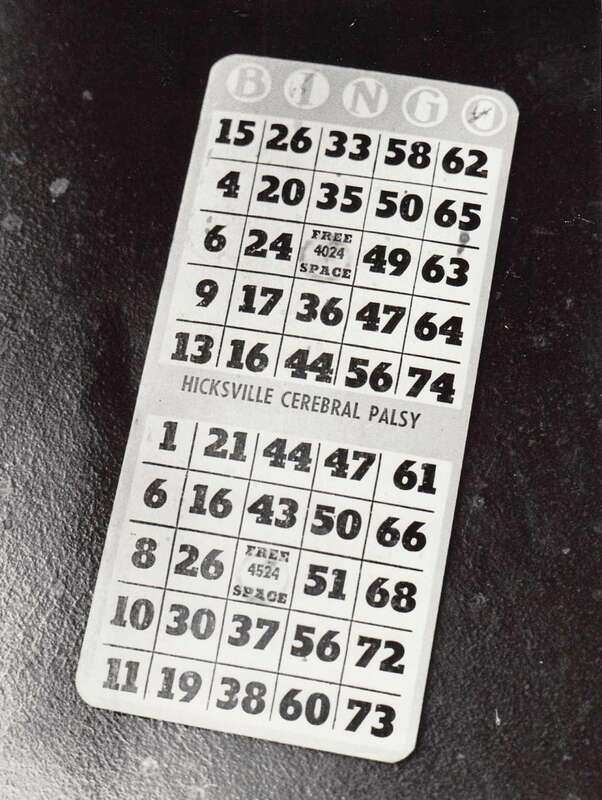 Bingo card from the Lion's Den Bingo Hall in Hicksville on May 26,1976. 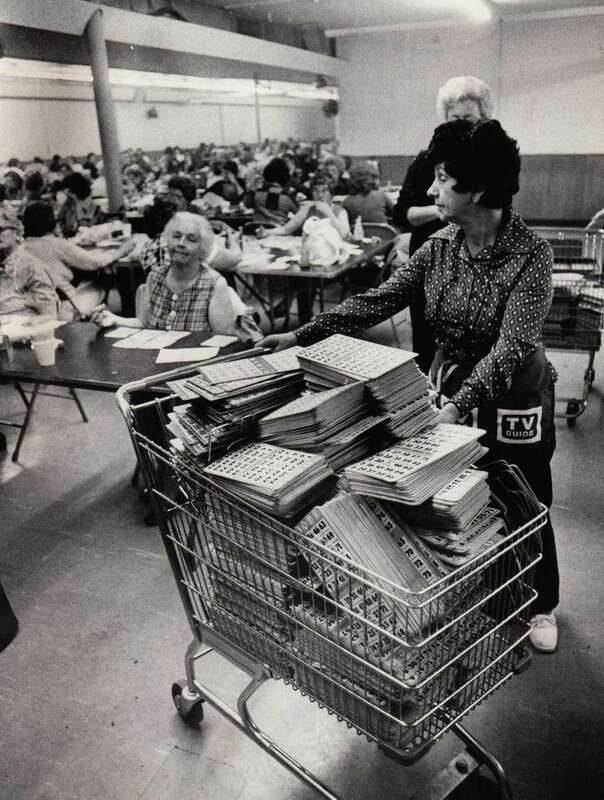 As the day winds down, a woman collects Bingo cards at the Lion's Den Bingo Hall in Hciksville on May 26,1976. 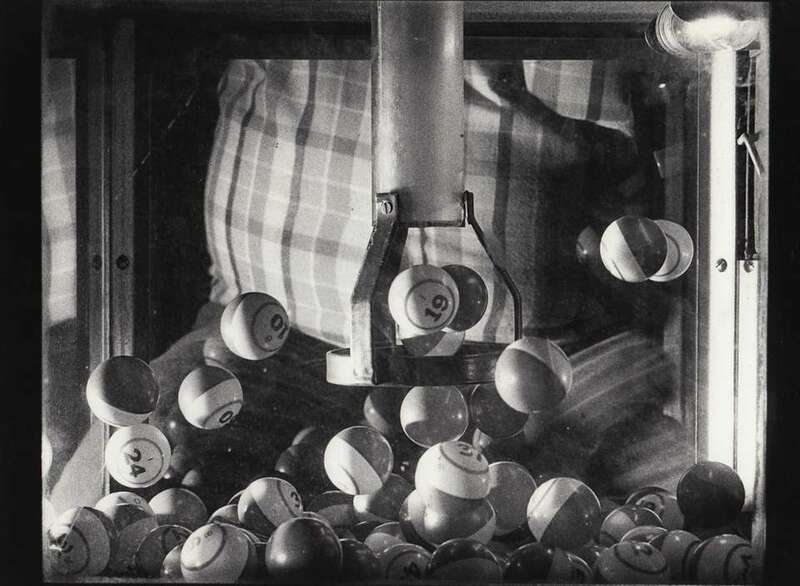 Bingo balls in play at the VFW Hall in Kings Park on Jan. 14, 1982. 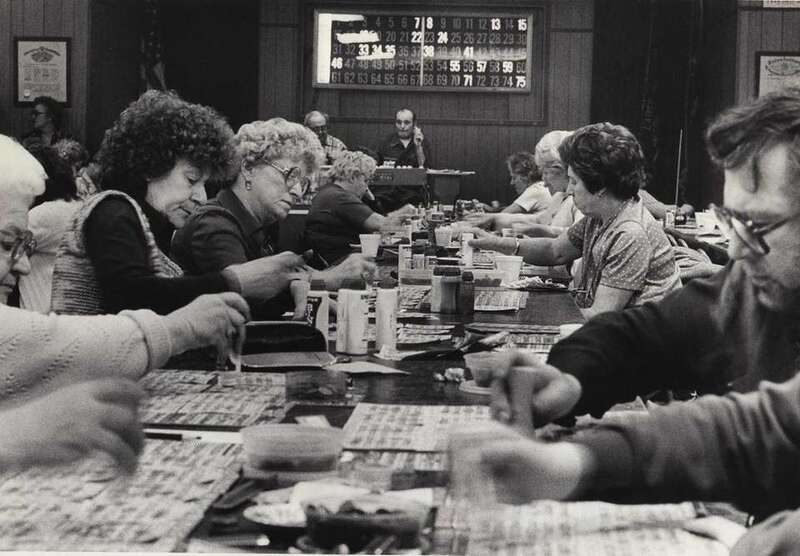 A bingo game is underway at the Kings Park VFW Hall om April 14,1982. 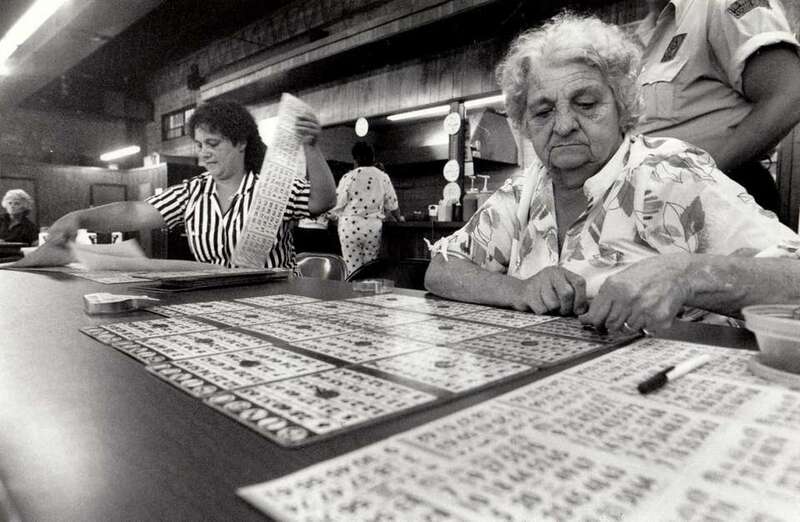 Louise Sciaccia of Kings Park plays her bingo cards at the VFW Hall on Church Street in Kings Park on April 14, 1982. 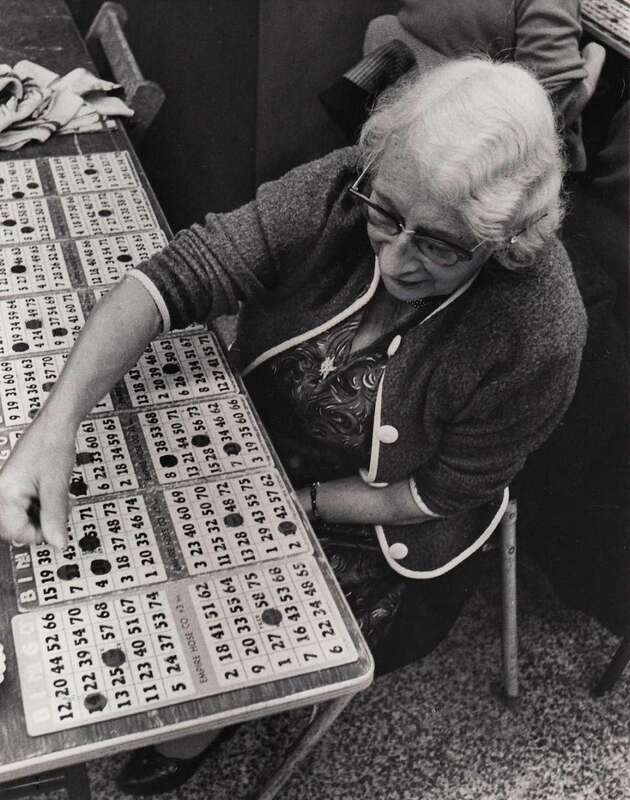 Although the popular game of bingo has been played on Long Island for years, it was technically illegal here until 1958. 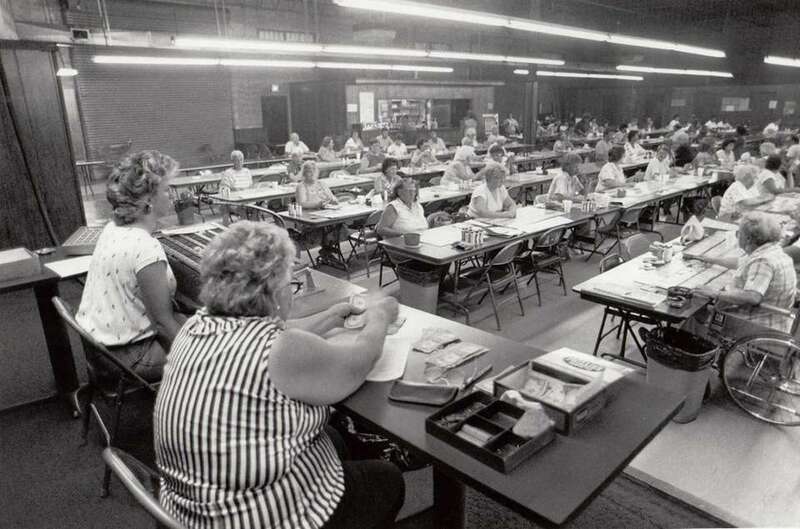 Myrcine Hyams of Shirley and May Rose of Mastic getting their cards ready for a night of Bingo on July 30, 1986. 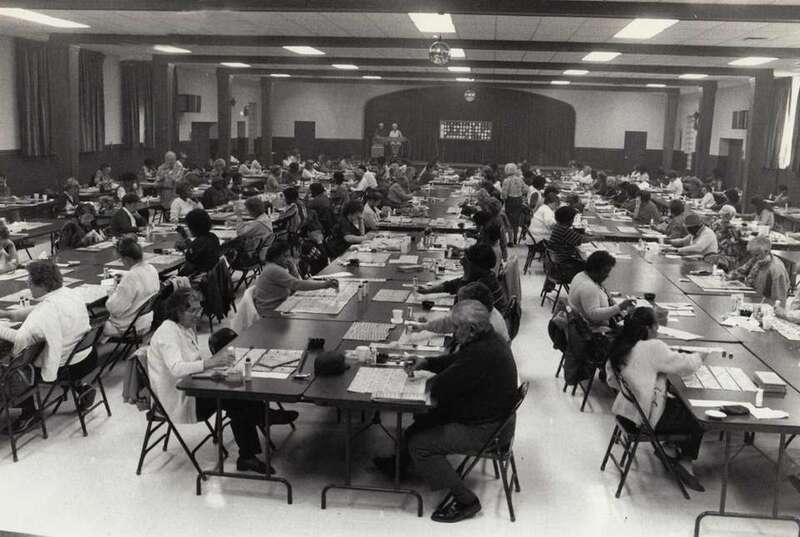 Bingo being played at Our Lady of Loretto Church in Hempstead on March 26,1986. May Rose of Mastic with her "Bingo Addict" sign given to her by a relative. This photo was taken on July 30, 1986, at the Bingo Hall on McGraw Street East in Shirley. 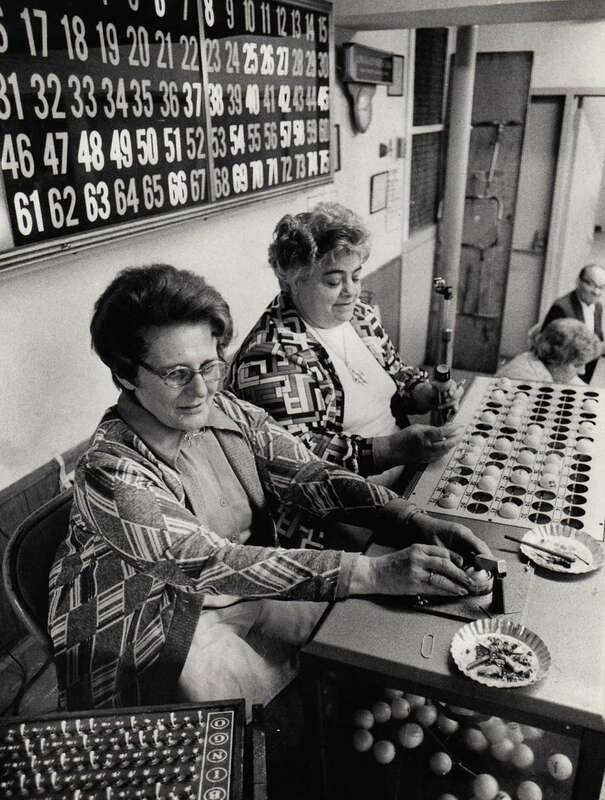 Caller Eileen Oldham and cashier Annie Lombardi oversee bingo at the McGraw Street East Bingo Hall in Shirley on July 30, 1986.